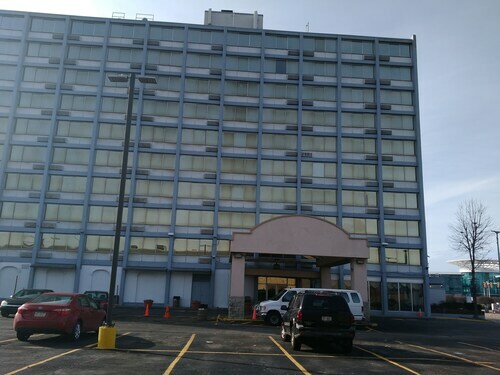 Situated in Middleburg Heights, this hotel is 1.5 mi (2.3 km) from Baldwin Wallace College and within 6 mi (10 km) of International Exposition Center and Southpark Mall. OBM Arena and Mill Stream Run Reservation are also within 6 mi (10 km). 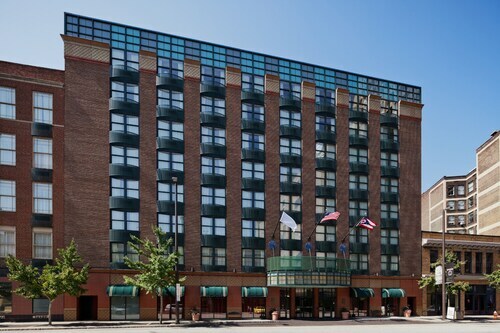 Situated in Cleveland, this hotel is within a 10-minute walk of Children's Museum of Cleveland and Agora Theater & Ballroom. Cleveland State University and Progressive Field are also within 2 mi (3 km). Situated in Willoughby, this motel is 2.7 mi (4.3 km) from Classic Park and within 6 mi (10 km) of Indian Museum of Lake County and North Chagrin Reservation. StoneWater Golf Club and Briardale Greens Golf Course are also within 9 mi (15 km). Situated in Independence, this hotel is within 9 mi (15 km) of Christmas Story House, Cleveland Metroparks Zoo, and Progressive Field. Quicken Loans Arena and Rock and Roll Hall of Fame are also within 12 mi (20 km). Located in the heart of Cleveland, this luxury hotel is within a 10-minute walk of Cleveland Clinic and Museum of Contemporary Art Cleveland. Children's Museum of Cleveland and Severance Hall are also within 15 minutes. East 105th-Quincy Station is 14 minutes by foot and University Circle Station is 15 minutes. 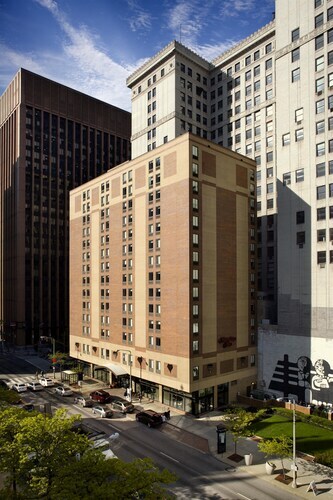 This 14-story Cleveland hotel is adjacent to Tower City Center, with shops, restaurants, a day spa, and a metro station. An enclosed walkway connects the hotel to Progressive Field and Quicken Loans Arena, and Horseshoe Casino is also nearby. 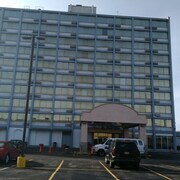 Hotels in Cleveland start at $40 per night. Prices and availability subject to change. Additional terms may apply. With a wealth of sporting stadiums, some of the Midwest’s best shopping districts, and more educational centers and outdoor activities than you could enjoy in a week, there’s a whole lot more to Cleveland than just the Rock and Roll Hall of Fame. 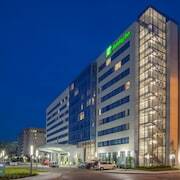 Yet if you’ve got your sights set on C-Town, how are you to know which of the hotels in Cleveland is best for you? 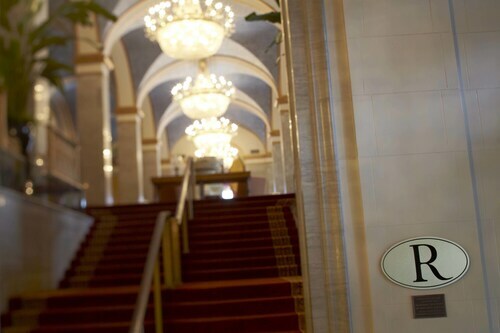 To help you make that decision, here’s a guide to some best places to stay in Cleveland. 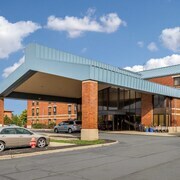 There are dozens of hotels, motels, and resorts throughout the Greater Cleveland area. Depending upon what you’re looking for, one lodging option will undoubtedly suit you better than another. With that in mind, here’s a look at four of our favorites. Proximity: Interested in sightseeing? The DoubleTree’s downtown location puts it within a short walk from the Rock and Roll Hall of Fame and many of the city’s other top spots. Pool and gym: Unwind at the end of a long day with a dip in the heated pool, or stay on top of your fitness regimen by working out in the impressive fitness center. Event space: Offering more than 10,000 sq. ft. of event space in addition to an enormous ballroom, the DoubleTree is ideal for group events of any size. Complimentary shuttle: Travel around downtown quickly and cheaply thanks to complimentary shuttle services departing from just outside the hotel’s entrance. 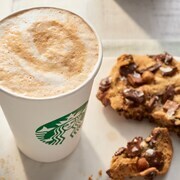 Food and drink: Get your caffeine fix at the hotel’s own Starbucks, or sit down for a casual meal and expertly crafted cocktails at Stadium 3 Bar & Grille. 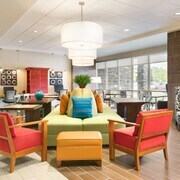 Variety of room options: Take your pick from the Hampton Inn’s fine selection of nearly 200 rooms and suites. Business resources: Conduct business affairs with free Wi-Fi in every room.or host small events in meeting rooms that can accommodate up to 30 attendees. Breakfast and gym: Start your day right with a free, hot breakfast and stay in shape at the on-site fitness center. Sans Souci Eclectic: Dig into a hearty breakfast at the Sans Souci Eclectic, offering award-winning menu options every morning from 6:30 to 11:30. Lobby Court Bar: Sink your teeth into savory bites or sip sensational cocktails at the lively Lobby Court Bar. Renaissance Navigator: Take advantage of Renaissance Navigator, a one-of-a-kind shopping and dining experience available exclusively at this hotel. Horseshoe Casino: Try your luck at Cleveland’s new Horseshoe Casino, located adjacent to the hotel. Banquet rooms: From weddings to conventions, the spacious banquet rooms and sprawling ballroom make it easy to host an outstanding event. 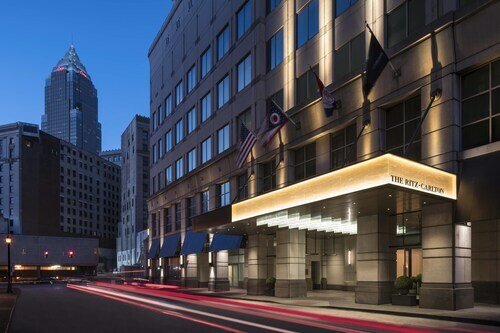 Hyatt Regency Cleveland At The Arcade: Located right next to the East Fourth Street Entertainment District, this one-of-a-kind downtown hotel makes it easy to see and do everything Cleveland is famous for. 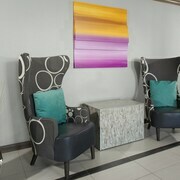 Here’s a glimpse of what the Hyatt has to offer. Spa: Enjoy the royal treatment at the Marengo luxury spa, located right in the hotel. Fitness center: Don’t miss a day of exercise by making the most of the always-open workout room. Event planning: The Hyatt’s award-winning staff can help you masterfully pull of weddings, meetings, and events of all sizes. 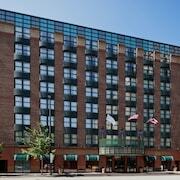 Pet-friendly accommodations: Hoping to experience Cleveland with your hound? This dog-friendly hotel welcomes pups under 50 pounds. Travelocity helps you get the web’s best deals on cheap hotels near Cleveland’s hottest sights. 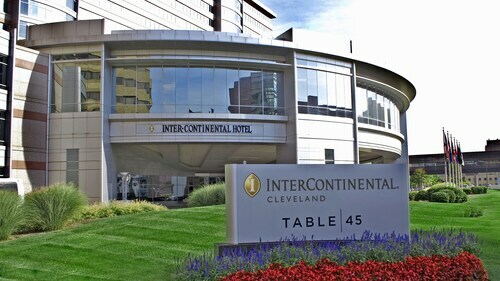 Give our intuitive booking system a try, and you’ll be amazed by how quickly you lock down Cleveland lodging that’s perfect for you. 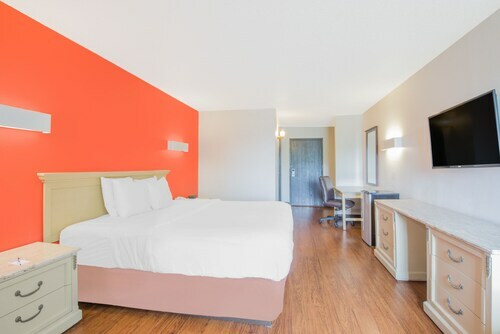 Reserve your room today, and you’ll be rockin’ ‘n’ rollin’ in no time. We were very pleased overall with the amenities, location, and the property. One thing that we were displeased with was the TV and lack of ability to buy a pay for view movie, and lack of VCR. We were very happy with the valet service. It is a reasonable and fair price for in and out privileges. Also, when we returned to our room after all morning out and about, we were dismayed to find our charging cord missing. We will return again the next time we spend the night in Cleveland. The location is superb, and every single employee was so nice. I liked the touch with the free cookies at sign-in. Very conveniently located if one wants to visit the Rock and Roll Hall of Fame.